Need a horse property? Here it is! Five acres located in the scenic Mehrten Valley. Owned solar power (not leased). 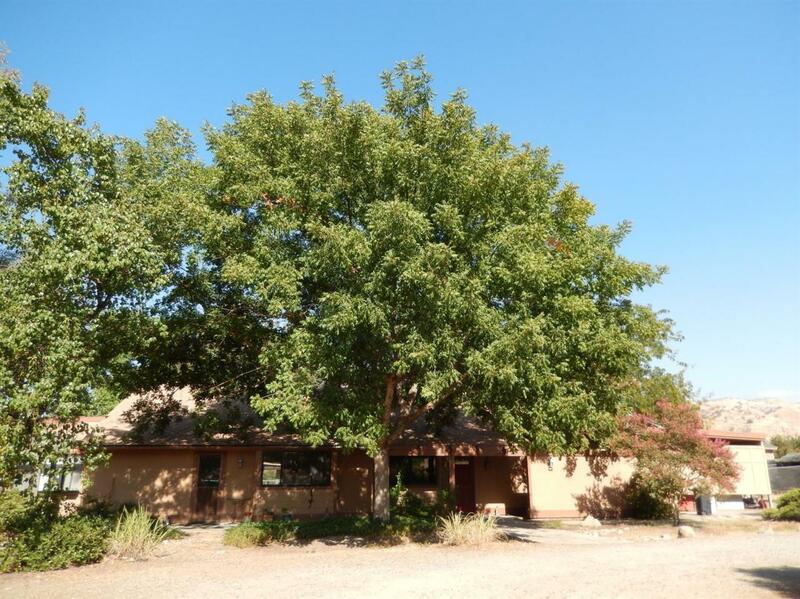 Entire property is fenced, cross fenced with pastures, tack room, shed and large covered parking/storage area. 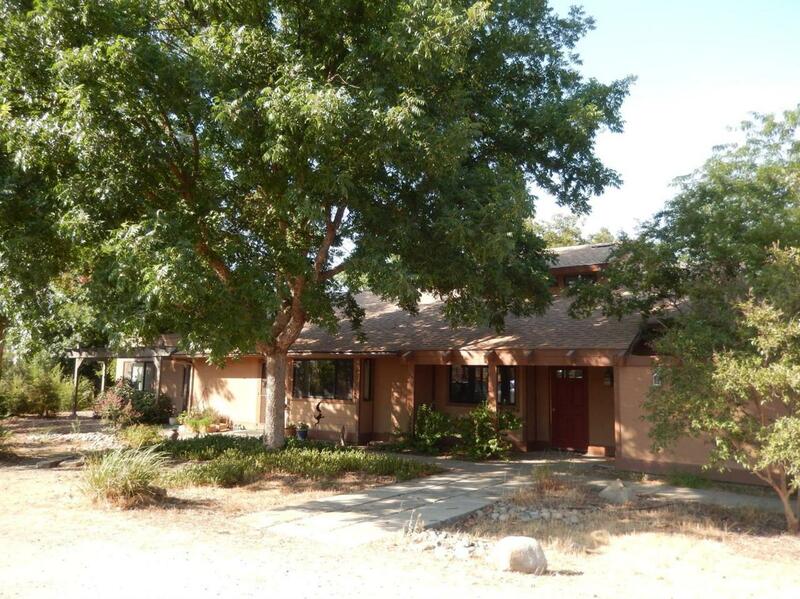 Spacious 3,484 sq ft home with 6 bedrooms, 3 baths and office. New roof 2016. 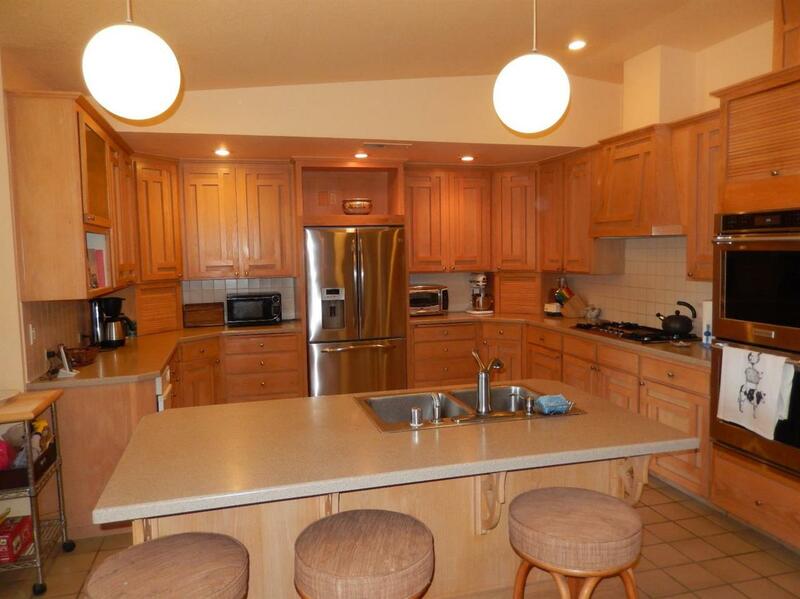 Large open kitchen with stainless steel appliances, island, large walk-in pantry, plenty of cabinets and counter space, tall ceilings and open to the dining/family room. The loft and outside balcony are the only areas on the second floor. Large living room with wood stove, vaulted ceiling and patio doors to the back yard. 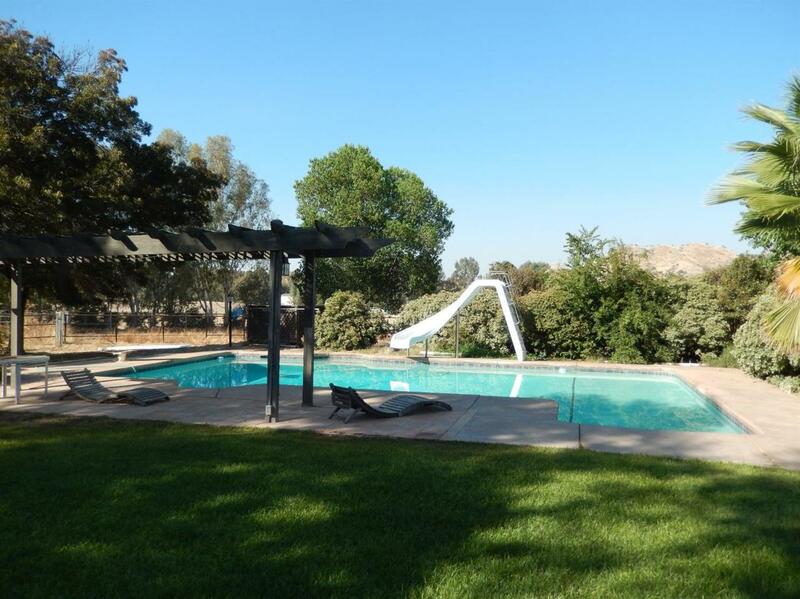 Large refreshing pool with shallow area for the young or young at heart! Mature shade trees provide great areas in the yards to enjoy the wonderful views in this scenic country setting. Call for your private tour.